User Referrals grant existing users the ability to refer others to your Community or Project. You control which teams can refer, how many referrals they have available, and the email message included in a referral. 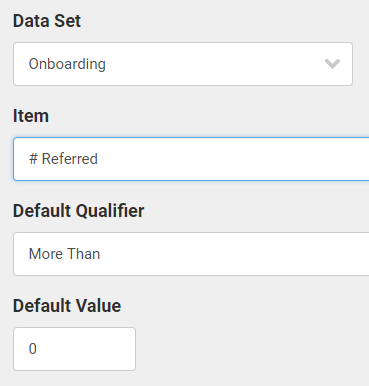 The Opportunity associated with the Referral dictates which team the referred users end up on. You can then track and give credit to those users who helped expand your program! a. Note that the team(s) selected pertain to which teams can refer others. The destination team(s) associated with the referred accounts is controlled by the Opportunity that the Referral Source facilitates. 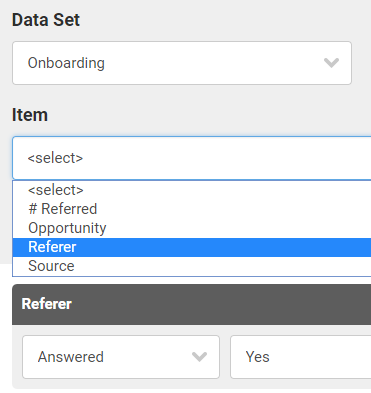 For Teams with access to the Referral Source, the “Refer a Friend” link is available in the left-hand menu. Once referred, invitees are sent an email invitation containing a unique, unshareable link that’s tied to that email address and one referral will be consumed. Your View criteria will vary based on your needs, but you'll want to at least include the Referer in your View criteria. As with your Referer View criteria, what you want to see will vary based on your needs. We recommend to at least include #Referred on your Viewing criteria. Even if a referred user fails the Recruitment Limiting Filter (is Blacklisted) or fails the application process, the referral is consumed. If your users have a limited number of referrals, they'll have one less.